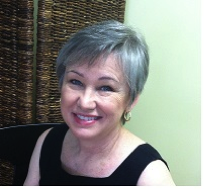 Sheridan Kay Quilting is owned and operated by Sheridan Carter. The studio is located in beautiful Hendersonville, North Carolina and has served quilters from around the southeast for over five years. I love machine quilting and I get excited every time a new quilt top comes through my doors. 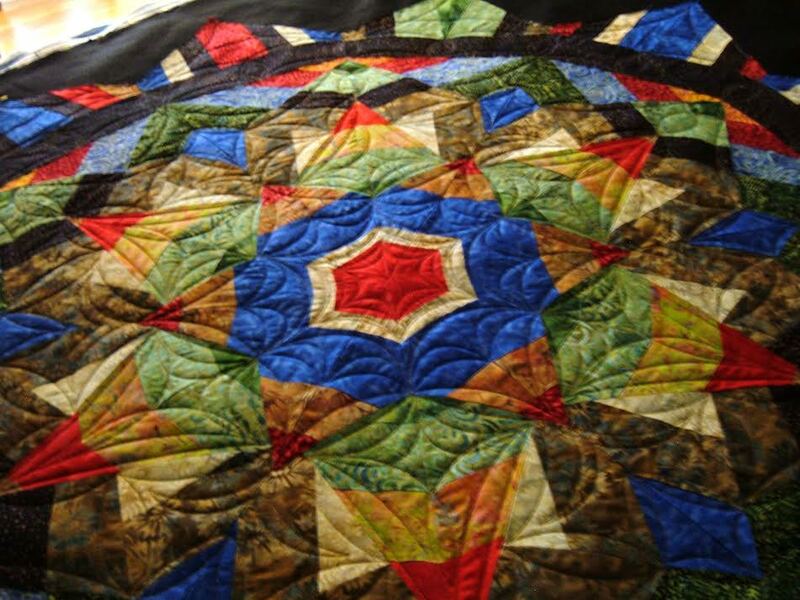 I love the fabrics, colors and designs and I love the connection these quilts have with its maker. I am blessed to do something I never grow tired of. 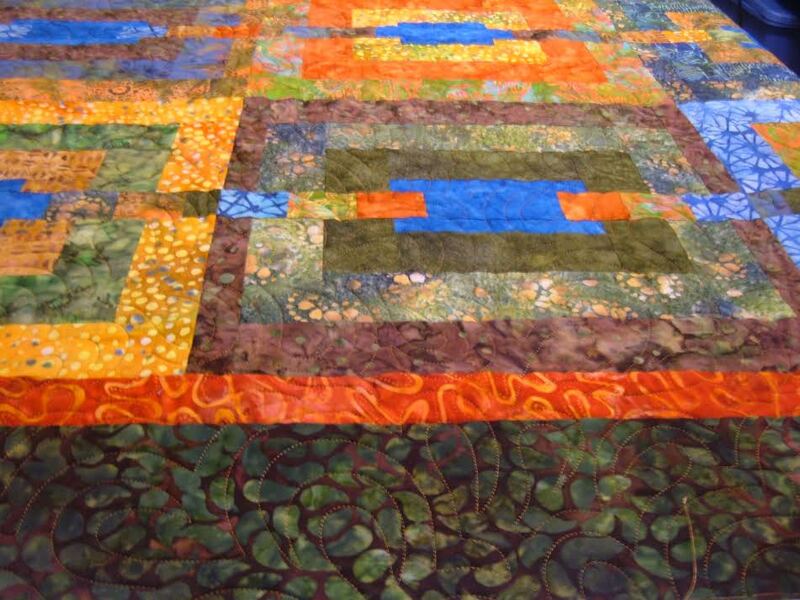 I look forward to each day of quilting at my studio where I meet wonderful quilts and quilters. 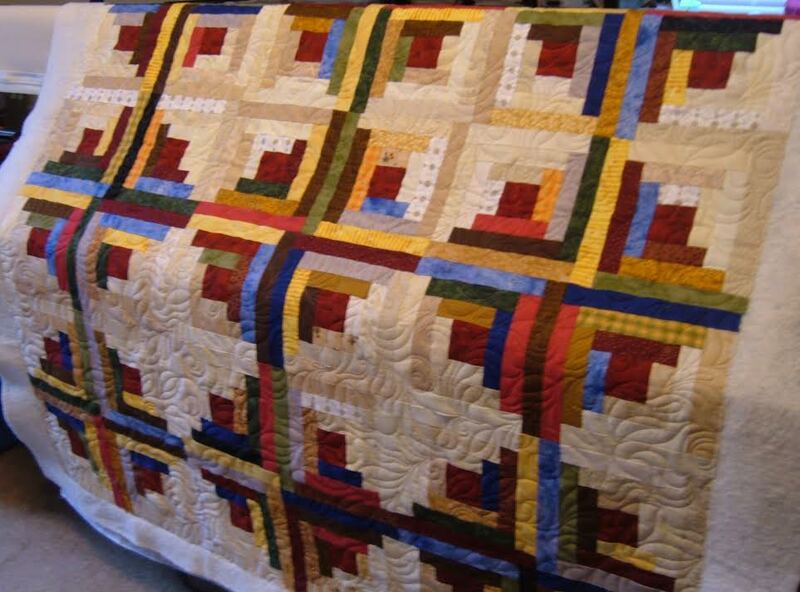 Many of the quilts I have quilted have won ribbons for their owners including best-of-show. Many were never intended for show and add their beauty to private homes all across the area and beyond. My Studio was relocated to Hendersonville from my home in Rutherfordton, NC. 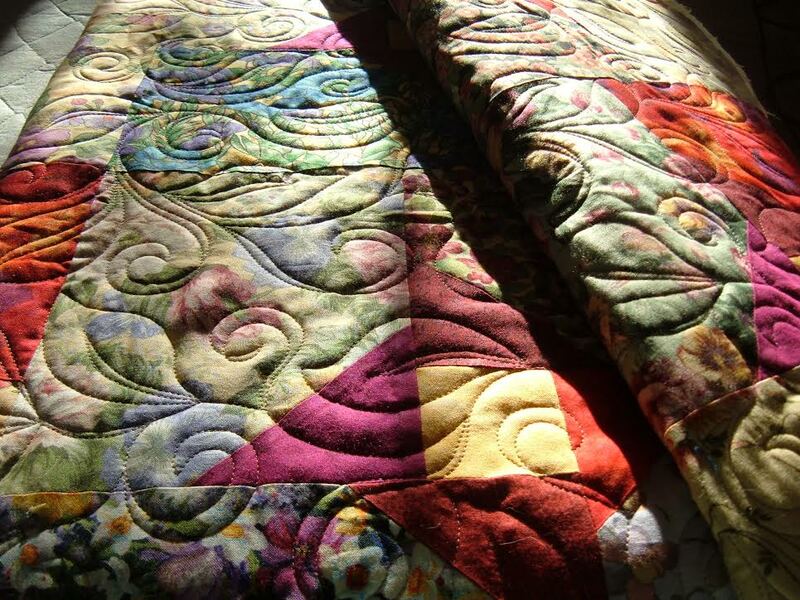 I had quilted over 1200 quilts from my home studio. During that time I also became a rep for APQS. I love my machine and believe in the quality of the company. I made the decision to relocate so that anyone curious about longarm quilting would have a comfortable public space to visit, take classes and experience APQS machines. 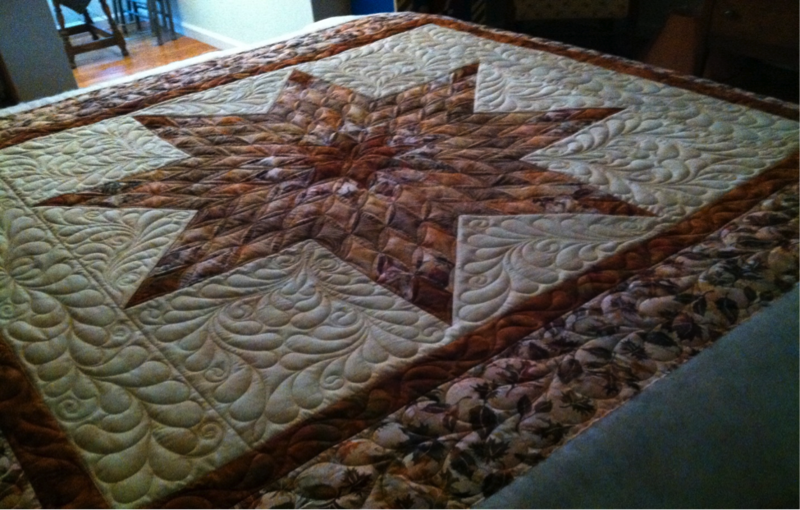 Machine quilting is my passion! My background in early education had shown me that sharing something you love magnifies the joy! If you know me at all, you have heard me exclaim, “I love what I do!” I feel it is important to stay abreast of the latest developments and I strive to be the best I can be. I am dedicated to the work I do and put my heart into each quilt that comes my way. 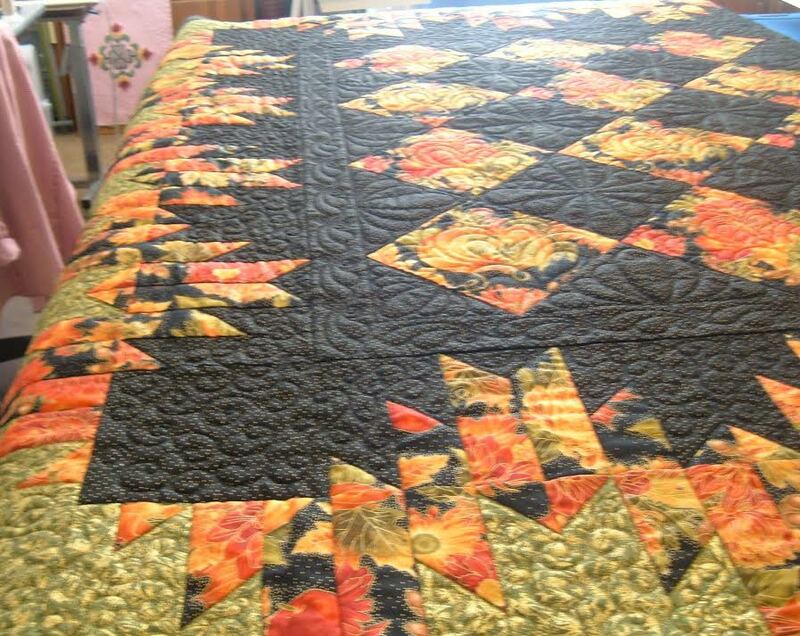 Please visit my gallery at http://www.skquilts.com/gallery/ where you will see a few more of the quilts I have quilted. 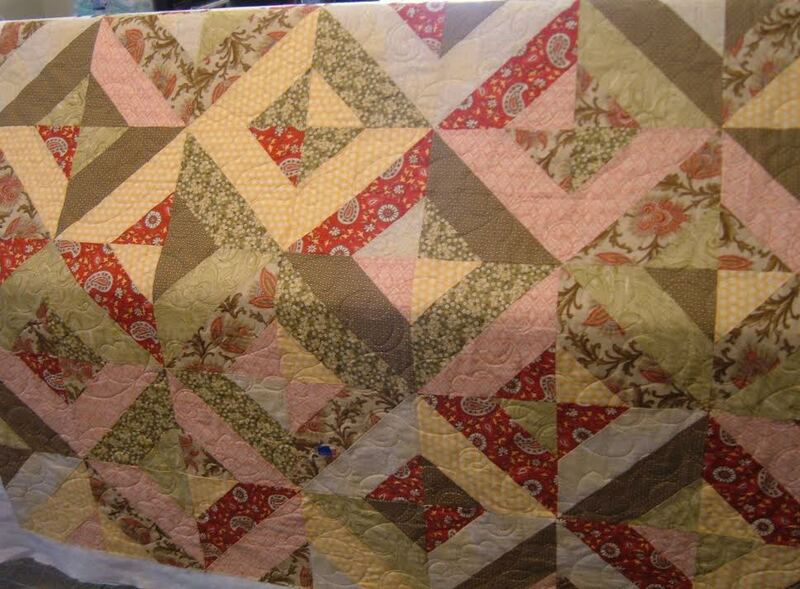 You are welcome to visit my studio for a free consultation where we will discuss your ideas for your quilt. We will discuss design choices, cost and expected turnaround time. I will listen and help in any way I can. There are many choices available for quilting your quilt. I hope I have given you a glimpse into my world. Feel free to contact me at [skquilts at gmail dot com] and visit my website at www.skquilts.com I look forward to serving you.